A colorful style attached to vanguard cuisine where floral ingredients are not lacking. Colorful, voluminous, and a perfect finish. The piece, in a very Bachour style, was one of the creations that the Puerto Rican chef carried out during his latest visit to L'École Valrhona Brooklyn. A Chantilly coconut cream delicately shucked on a yogurt cheesecake mousse is one of the star creations presented by the chef during his last course at Valrhona Brooklyn. Step-by-step instructions of a Petit gâteaux that the chef created in his last course in Valrhona Brooklyn School, which he wanted to share with the readers of So Good. Vincent Vallée, Johan Martin, Joakim Prat, Melissa Coppel, Frank Haasnoot and Daniel Álvarez are opening this year as guest professors. 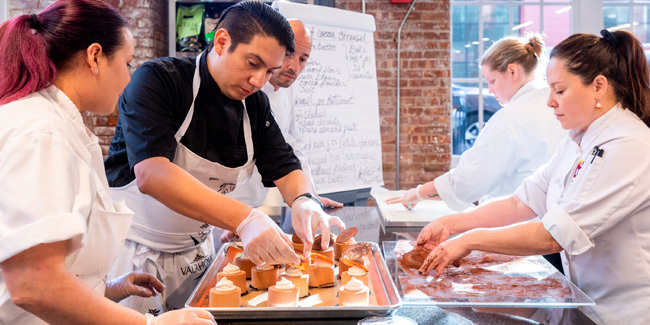 To celebrate 30 years of L'École Valrhona, the Brooklyn team has prepared 23 exceptional classes. 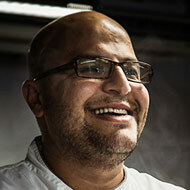 The media-friendly chef has been chosen by photographers and culinary experts. Both chefs once again demonstrate that they work very well together. The Puerto Rican chef continues to teach his style all over the world. One of his latest stops has been the school run by Francesca Maggio and Luca Montersino. Chefs from Italy, Spain, the USA, France, Sweden, Canada, and United Arab Emirates will evaluate the work of the also eight candidates. 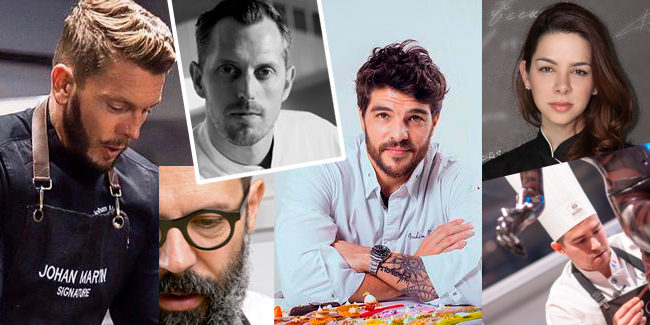 The four popular chefs will give master classes at Icep Hotel School. The recipe section leads a year of increased visits on our website in which practical information on news, schools, and books has imposed itself over day-to-day news. The chef, based in Miami, has premiered as a teacher in Beijing at the T Dessert International Pastry Academy. In 2018, he will return to the center in the company of Carles Mampel. Oriol Balaguer will return as a guest teacher with the course "Pastry Styles by Oriol Balaguer". Both chefs, who have an extensive calendar of courses and demos, recently visited the Lavonne Academy of Baking Science and Pastry Arts. The pastry chef and chocolatier has been proclaimed the winner of the second edition of this competition which aims to recognize and showcase the talent of young pastry chefs. In May, candidates will have to demonstrate their skills in cakes, éclairs, entremets, and desserts before a jury formed by some of the most well-known pastry chefs in the world. Around 20 first class pastry chefs will visit the school to exchange ideas, unveil new trends, and share techniques. The jury was pleasantly surprised with the technical dexterity, fine sophisticated creations, and risky combinations of ingredients. Bachour lands in Bangkok to share his repertoire of his latest and brightest creations, with a firm commitment to tropical fruits. There will be a second edition of this competition created by Kirsten Tibballs, and with Christophe Michalak, Antonio Bachour, Jordi Roca, and Paul Kennedy on the panel of judges. A lot of demand and excitement in a competition that eliminated finalists over three days until only the winner remained. Bachour Bakery and Bistro opened last March in the Brickell Center. A wide and tall facility where the true protagonist is the showcase of cakes and desserts. Different backgrounds, complementary disciplines, creativity, and suppliers are things which the protagonists of the latest issue of SG have in common. A new annual competition storming the American scene that will test the finalist’s creativity, technique, and workmanship over the course of three days. 170 square meters and a complete sweet and savory offer welcomes those curious who, since Monday, have gone to the new shop, which is sure to become a culinary destination in Miami. Antonio Bachour, Marc Ducobu, Davide Malizia, Christophe Morel and Hans Ovando are just some of the names featured in this high-flying academic calendar. The pastry chef has been teaching courses on restaurant and buffet desserts to a small group of 14 students for the past two weeks in the school run by Kirsten Tibballs. The Restaurant and Chef Committee has selected the semifinalists in each of the 21 Award categories from more than 20,000 candidates. Gianluca Fusto, Antonio Bachour, Christophe Renou, and Greg Mindel are some of the external chefs who have jumped into the school’s interesting calendar this year. 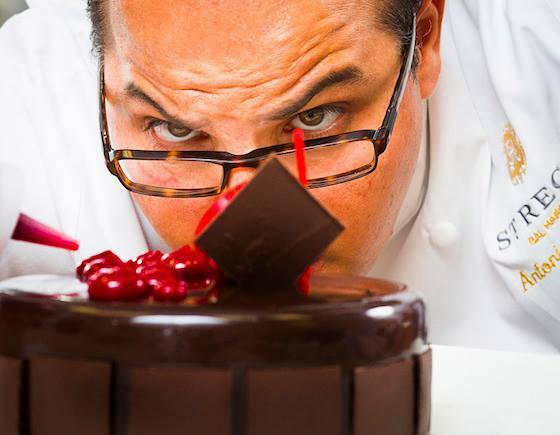 Antonio Bachour offers his latest and studied repertoire, this time based on chocolate, and once again including all kinds of cakes, cups, plated desserts, and bonbons. The chef of St Regis Bal Harbour in Miami gave a magnificent pastry masterclass at the International Pastry School "Conditoria" in Russia. This year, Latin America has a new event dedicated to avant-garde patisserie, with workshops and master classes given by Javier Guillen, Carles Mampel, Antonio Bachour, Oriol Balaguer, and Xavier Barriga. 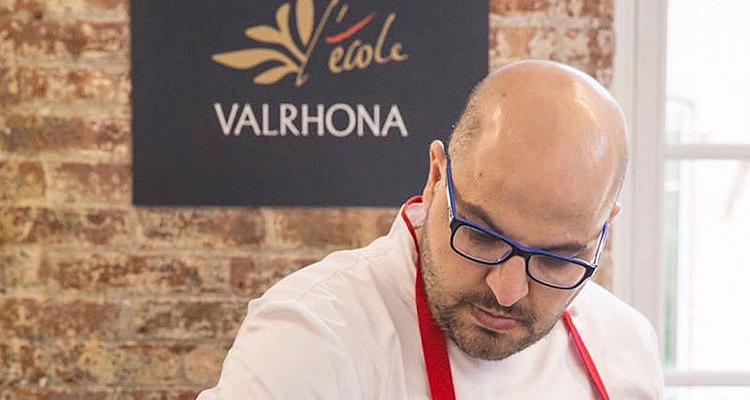 Valrhona USA continues travelling to teach professional pastry chefs and help them reach their full potential. The next destination is Miami and the professor is Antonio Bachour, a pastry chef who shares his commitment to excellence and passion for the craft with this chocolate brand. Following on from the great popularity that this pastry chef has gained throughout the world, his new project consists of a pastry boutique that reflects his style and includes all the aspects that he has come to master, from the dessert plate to the classic cake, through bonbons and macaroons, and always with his unmistakabale touches of colour and of flowers. 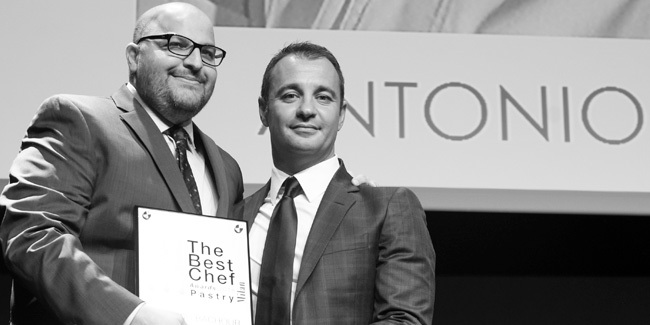 Autumn sees the launch of the second book of Antonio Bachour's creations, which contains more than 120 different dishes that will no doubt be warmly received by the sector, as they were on the day of the launch of the first book, which is now completely sold out. The inexhaustible creativity of the pastry chef at the St Regis Bal Harbour, Antonio Bachour, has finally resulted in the launch of a book of creations d’auteur whose publication is due in November.